The unique design also allows one or both devices to be swung up 180 degrees, completely out of the line of sight, without disturbing the eye alignment of the other device, and when the entire assembly is folded back against the helmet the system allows both devices to be folded further back towards the helmet. 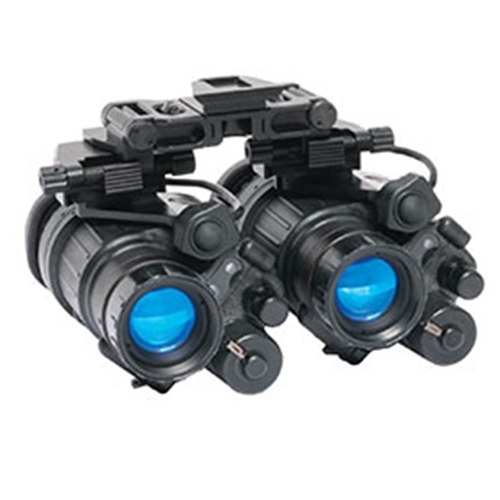 The system comes standard with two mounting arms but it can be used with a single PVS-14 on either eye, without anything interfering with the visual field of the opposite eye, and it can be instantly upgraded to a dual-tube system whenever two suitable PVS-14 units are available. 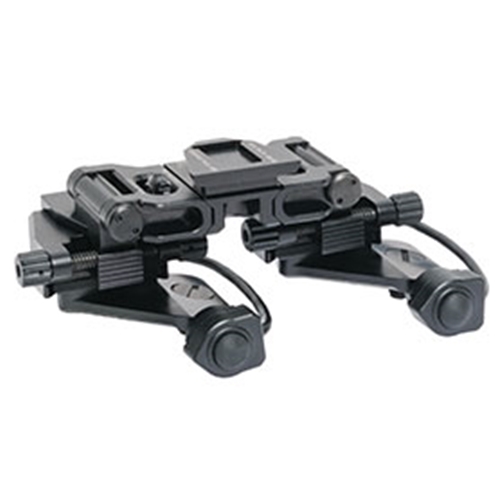 The Dual Headmount Adapter is extremely lightweight and therefore doesn't add much more weight to the PVS-14s. it also has an adjustable interpupillary adjustment for each user's comfort.